Agatha Christie’s Belgian detective, Hercule Poirot, was fond of telling us that his ability to solve crime was in his “little grey cells”. He was right. The grey matter which covers your brain has important functions in terms of perception and memory. Without grey matter you would not be able to operate in the world around you because you couldn’t remember anything or see or hear much of it. 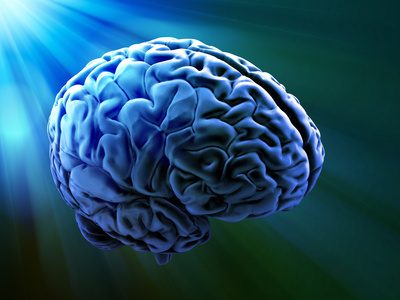 New research, however, has discovered an additional function of grey matter in our brains. It seems that the more grey matter we have, the more altruistic we become. People with lots of grey cells are really rather nice and positive towards other people. Monsieur Poiroit may have been a stickler for detail, but his motivation was to do right for other people. He must have had a lot of those little grey cells. There is also lots of research on the impact of altruism. Being nice to other people appears to make them like us, to be nice towards us and to want to reward us. An element of altruism is reciprocity, which is a fundamental part of the online world with people offering you free ebooks just for visiting their web page. And reciprocity is one of the basic parts of persuasion – if you help other people first, they want automatically to help you too. That’s the basis behind the whole web “squeeze page” notion where you get a free book in return for your email address – you are willing to trade that bit of you, in return for the free gift. And there is the effect of Facebook to take into account; as I wrote last year Facebook use is associated with an increase in grey matter. The extent of online reciprocity and the impact of Facebook may well be combining to make us all have more grey matter. Not only does that help boost our perception and memory, but it also will make us more altruistic. The Internet is making us all nicer people.